Snakes naturally shed their skins on a regular basis, and a healthy shed is important to their general well-being. 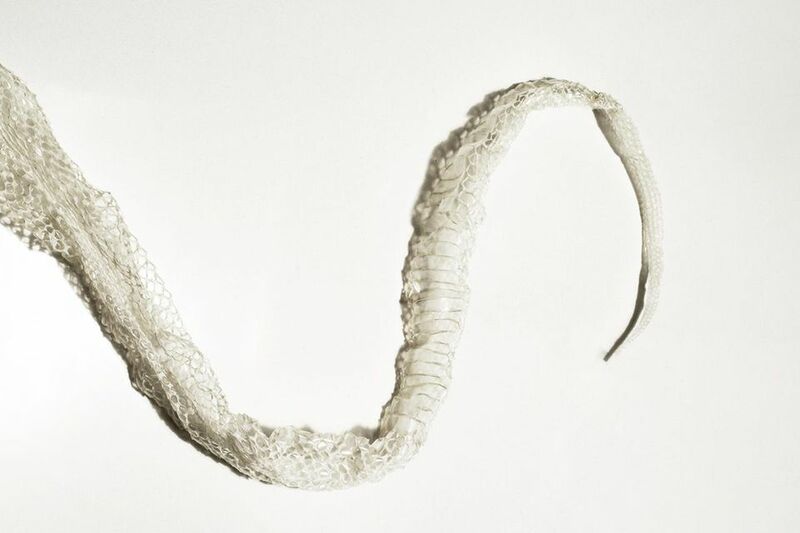 Although it's perfectly natural, shedding is stressful for your snake. The upside is that you can ease some of the stress by learning the signs that your pet is about to shed and taking steps to ensure that the process goes as smoothly as possible. Snakes constantly grow new skin cells and must shed the old ones. While humans continually shed skin cells in small quantities, snakes do it in a continuous sheet. The process is called ecdysis, which simply means molting or shedding an outer layer. The interval between sheds depends on several factors, including the age of the snake as well as its growth rate and environment. Young snakes that are growing rapidly shed frequently—every few weeks—while adult snakes shed less often, sometimes only a few times a year or less. Its eyes turn a cloudy, bluish color. This is because the eye cap—a specially adapted scale that covers each eye—has loosened up so it can be shed along with the skin. It becomes sort of a temporary filter over the eye, but just prior to shedding, the eyes should clear up again. The old skin begins to look dull or hazy. At first, you may also notice that your snake's belly appears to be a pinkish color. Your pet may hide more than usual. Its appetite may decrease, or it may not want to eat at all. It may become more skittish or defensive, especially when it can't see well. It may seek out rough surfaces in its enclosure to help rub the old skin off, and/or it may look for water to soak in. Provide cage accessories, such as clean driftwood or rocks, to help your snake rub off its old skin. Just make sure they're relatively smooth and have no sharp edges. Ensure that your pet's enclosure is humid and provide a shallow dish of water where your snake can soak itself. You can also add a humidity hide box, which is a plastic enclosure containing damp sphagnum moss with an entry hole just big enough for the snake to fit through. Your snake will likely spend more time than usual in the box during shedding. Avoid handling your snake as much as possible just before and during shedding. If you need to handle it, do so gently as the new skin is delicate and tears easily. Don't worry if your snake refuses to eat. Depending on the species, a healthy snake can go for a couple of weeks or more without eating, and larger snakes can go even longer. If your snake wants to eat, it may be best to feed it a smaller meal than usual so more of its energy is directed toward healing rather than digesting. Examine the shed skin and your snake to make sure the process is complete. Ideally, the whole skin comes off in one piece. Look to see that the eye caps have been shed as well; there shouldn't be holes in the skin where the eyes were. You or your vet may need to remove any remnants of the old skin that remain. Dysecdysis might be due to husbandry issues. If you've provided your snake with surfaces to rub against, check the enclosure's humidity levels, temperatures, and the substrate and make any necessary adjustments. Incomplete shedding may be a sign of a health problem, such as an infectious disease, internal or external parasites, internal abscesses, or a nutrient deficiency. These should be discussed with your veterinarian as soon as possible. Retained eye caps can occur with incomplete shedding but may also happen when the rest of the skin is shed intact. If you need to help your snake shed, be sure you're familiar with safe skin and eye cap removal methods or visit your exotics vet to have it done. In any case, it's best to explore the reason for any shedding problems so you're better prepared for the next shed and your snake stays healthy in the meantime. What Kind of Lights Does Your Pet Snake Need? Can Your Pet Snake Hear You?